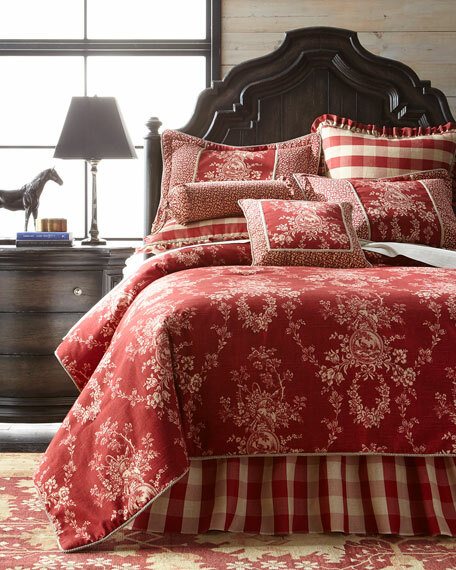 Comforter set includes 110" x 96" toile comforter, two coordinating king pieced shams adorned with gimp and cording, and gathered buffalo-check dust skirt with 18" drop. 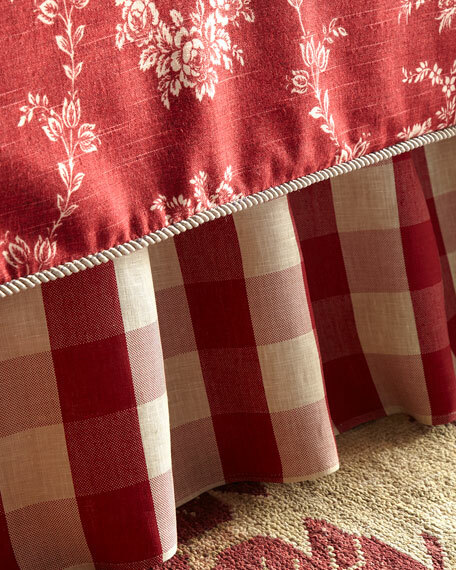 Comforter set includes 92" x 96" toile comforter, two coordinating standard pieced shams adorned with gimp and cording, and gathered buffalo-check dust skirt with 18" drop. 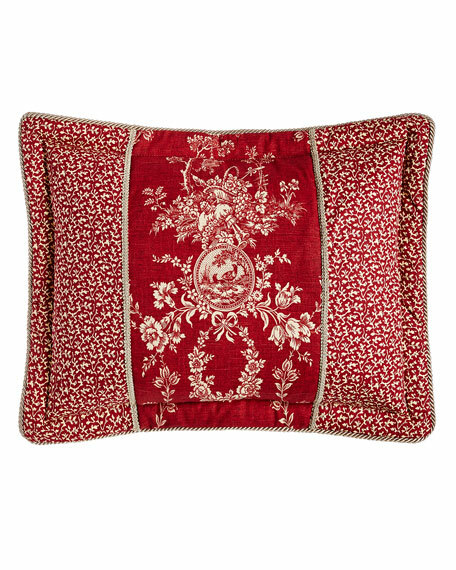 European sham made of cotton. 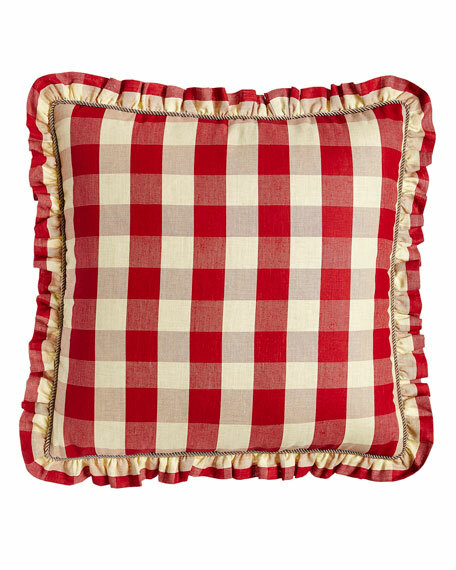 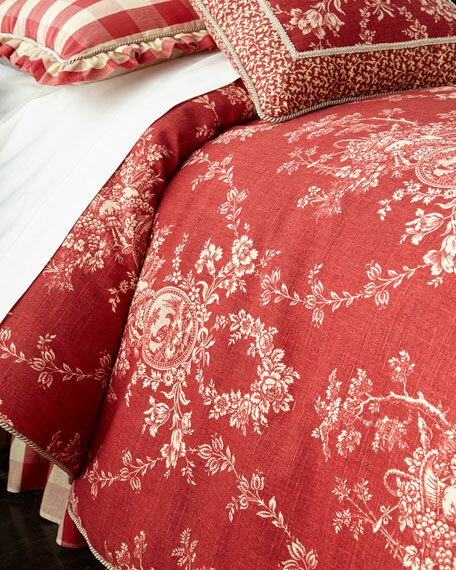 Sherry Kline Home French Country Pillow w/ Toile Center, 19"Sq. 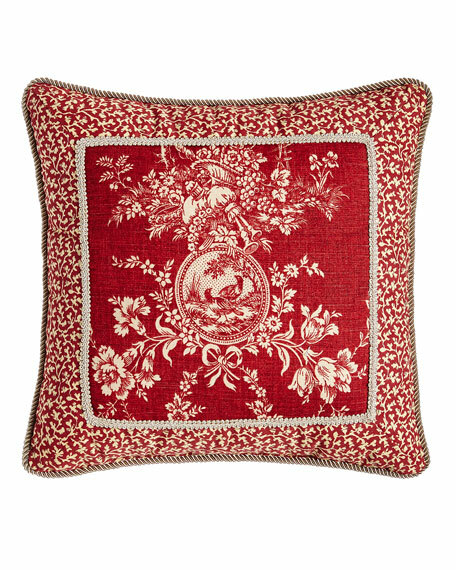 Pillow with toile center made of cotton. 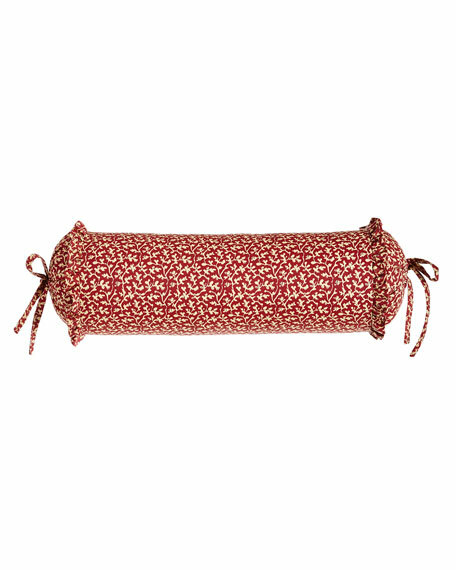 Sherry Kline Home French Country Neck Roll Pillow, 18" x 6"
Neck roll pillow made of cotton.